In the forest behind my studio I carved wooden sculpture into the tree, let these live sculptures keep growing. I invited friends to come to forest to see exhibition. 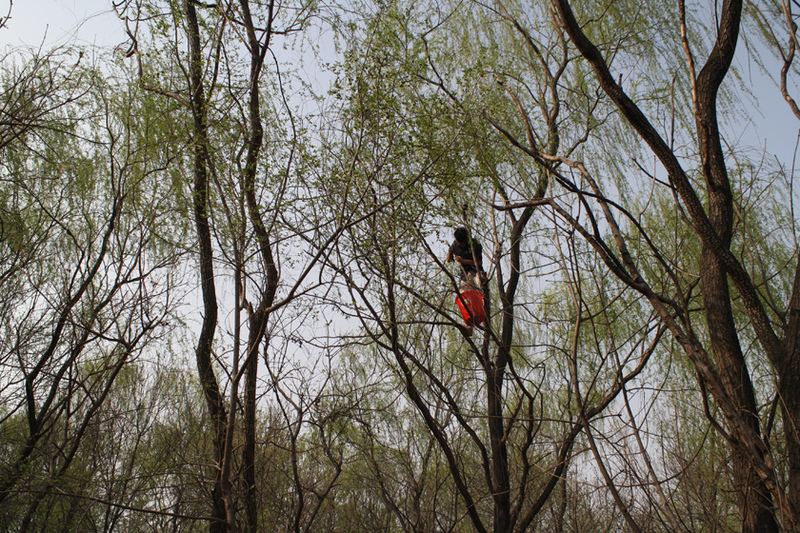 I went to Huairou, suburbs of Beijing into the mountain forest where I carved the sculpture on the tree. No audience without any documentation. Let is grow and disappear and I will never see it again.